Dialectics – what is it, what are examples of it? I learned from this philosophical discussion of dialectical materialism in 2004 when it was published at the lastsuperpower site, and thus reprint it now for readers’ consideration and comment. I mentioned in The relation between materialism and idealism topic that materialist philosopher Daniel Dennett doesn’t mention the word dialectics – so in reading Dennett I’ve been looking out for what language he uses when describing concepts that are dialectical. An example is that Mother Nature / Evolution has no foresight and yet has managed to create humans who have foresight. The best laid plans of mice and men…. if practically everything that we do results in something not intended then why do we plan, why do we struggle, why do we try to move the world in a certain direction? When Engels wrote that consciously willed actions often result in quite unintended consequences I think he was disputing the Hegelian idea that history is “the gradual realisation of ideas”. His point was that what happens in history comes about not as a direct result of abstract ideas, wishes, intentions (and so on) but is governed by ‘inner laws’ – ie what is possible (and therefore real and rational) in a given epoch. Movements don’t arise just because someone comes up with a good or bad) idea and manages to convince lots of people to follow them. Movements for change arise out of material conditions – the possibility for change is present and that opportunity is seized. The ideology in which the movement is clothed is (somewhat) secondary. An example is the idea of “equality” in the bourgeois democratic revolution. The idea that “all men are created equal” stood in direct opposition to the feudal belief that all men are most definitely not created equal. The growth of capitalism made it not only possible but also necessary for the idea that rulers are made rather than born to take hold. Thus on a conscious level the motivation for bourgeois revolution was belief in ‘liberty, equality and fraternity’ but at a more fundamental level, the revolution was driven by the necessity to liberate the productive forces from the constraints of feudalism. That reason (or motivation) was only dimly appreciated however. “Ideology is a process accomplished by the so-called thinker. Consciously, it is true, but with a false consciousness. The real motive forces impelling him remain unknown to him; otherwise it simply would not be an ideological process. Hence he imagines false or seeming motive forces. I don’t think this means that bourgeois revolutionaries didn’t really believe in liberty, equality, fraternity – or that the battles they fought weren’t really for these things. We all know (except perhaps for the pseudo left) that as a result of the democratic revolution we have freedoms and rights that were hardly even dreamed of previously. However the ideas themselves weren’t the driving force – these ideas could only take hold because the material conditions were crying out for them (so to speak). More about the usefulness of dialectics, being a bit more specific about it than in my previous reply to sally. A few years ago (maybe 20) I went to a debate where someone from the pro-Soviet so called communist party was arguing that the Soviet Union was still a socialist country. This person was so wrapped up in the details and scope of his argument that I could see that no single point could be made in question time that could possibly persuade him that he might be wrong. I wanted to support the case that the Soviet Union wasn’t socialist and so was racking my brains for a question that might get through, if not to the speaker, then at least to the audience. I think a similar sort of point can be made to the pseudo-left in connection to the US invasion of Iraq. In my view it’s pretty straightforward that the US has led a campaign to overthrow the fascist government of Saddam Hussein and is now proceeding to help Iraqis create a democratic government. That has to be progressive. Because historically US Imperialism has been very reactionary, as exemplified by the Vietnam war and much more, there are now many people in the world who seem incapable of conceptualising that the US could possibly do something progressive. It’s always possible for these people to point to bad things that the US does – there is no shortage of examples. Maybe part of the problem is that they have an ingrained black and white, non dialectic world view, which implicitly denies the very possibility that the US could do something progressive. I’m not saying that thinking dialectically is a substitute for studying the details of processes in detail – including the details of what the Soviet Union became historically and the details of what is happening in Iraq and the Middle East. But that having the concept of dialectics (the coexistence of opposites in things) might help prevent falling into the rigid black and white thinking illustrated in the two examples above. If some people can’t even conceptualise that it might be possible for US Imperialism today to do something progressive then no amount of detail is going to change their mind about Iraq. Their thinking is dogmatically stuck at another level to do with their whole world view. I’m arguing that studying dialectics is useful because it helps us keep our minds open to these possibilities. So, this illustrates that one can think dialectically without formally studying dialectics or even using the word dialectic. Dennett’s ability to do this would presumedly arise out of his deep study of the science of evolution combined with his materialistic philosophy. In dialectical language no foresight and foresight would constitute a unity of opposites and in the process of development one can transform into the other. I think this way of looking at it is preferable to Dennet’s apparent paradox that turns out not to be a paradox. But it’s probably more important to really study the topic deeply (in this case, evolution) than just to be able to spout the magic words. 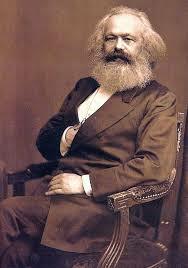 But I also believe that it’s important to study dialectics itself (Mao, Hegel etc.) because this creates an awareness or sensitivity to possibilities of things turning into their opposite that we otherwise might not even notice – it has the potential to make our thinking more fluid and flexible. Think of all the people scared to speak in public, or scared to admit how they feel about something, or someone! I know for a fact that my private side is very different from my public face. So in my opinion this is a ‘problem’ that stretches right across the board, it’s not just in intellectual circles. People in general are afraid to speak their minds! Me too, so afraid that I don’t want to post this, but I will anyway. What you are saying here is full of dialectics IMO. You talk about fear of speaking out and feeling compelled to speak out coexisting in your mind. Both of these opposites co-exist side by side. In some circumstances the fear might be stronger and you don’t speak. In other circumstances the compulsion to speak out might be stronger. I think it’s fair to say that these opposite tendencies exist in everybody and so we are talking about something that is universal. So, by contrast, what would be a non dialectical way of looking at this? We might view some people as always speaking out, the sort of people we wish would shut up sometimes. We might view other people as never speaking out, the sort of people that we don’t know what they are thinking. We might form black and white opinions about people with these extreme tendencies and as a result lose our curiosity, for example, not notice that a normally garrulous person has gone quiet in certain circumstances. But of course there are no people like either of these two extremes. Although some people speak too much and others hardly at all these are just tendencies across the spectrum of possibilities. In reality, the two opposite tendencies coexist within everyone. I’ve just taken one example of dialectics here from something you wrote in order to explain the idea. But whatever you are thinking about or studying I would argue that you can always conceptualise opposites that coexist within that thing. At the least I think it’s a very handy way to think about things because it can open up new ways of looking at something.